This week, we look into what’s next for clean energy in Massachusetts since the rejection of the Northern Pass project. 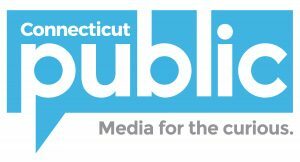 We hear from reporters around the region about a new project that was selected in late March. Students around the country marched for increased gun control measures and we discuss some actions states can take to reduce gun-related deaths. Plus, have you ever heard of the “Northeast Kingdom”? A small section of Vermont has earned the nickname, but how? Finally, we look into how colonial Americans created the system of weights and measurements that define our world today. It’s NEXT. 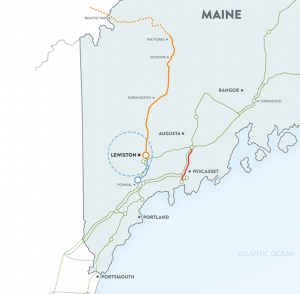 Map of the New England Clean Energy Connect line. 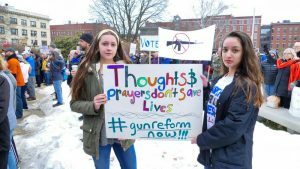 Students around the country marched for increased gun control measures in March for Our Lives events last weekend. 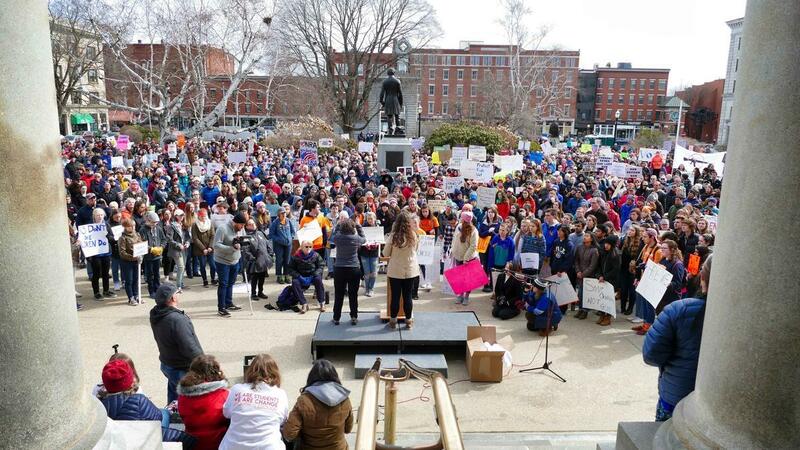 NHPR’s Sean Hurley spoke with students, teachers, and protesters at one march in New Hampshire. And, the debate continues: how can states reduce the number of gun-related deaths? The Boston Globe has laid out the steps Massachusetts has taken to reduce deaths and highlights how the country can follow their lead in their editorial, “7 Steps. 27,000 Lives.” We speak to their Editorial Editor, Ellen Clegg, on why the Globe chose to wrap their newspaper in shocking statistics to highlight this hotly debated topic. Have you ever heard of the Northeast Kingdom? One Vermonter asked VPR’s “Brave Little State” podcast about whether the Northeast Kingdom is really so different from the rest of the state. 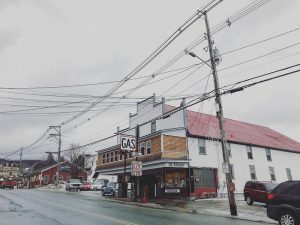 We hear about the surprising ways the region differs from the rest of the state while also maintaining its unique Vermont character. Why was standardizing weights and measures such a priority for colonial Americans? WNPR’s Patrick Skahill finds the method behind the measurements. 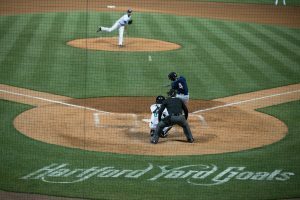 This week, minor and major league baseball teams will have their opening days. But it’s not just the players who are warming up for their first day out on the field. NEPR’s Tema Silk visits singers who are having tryouts in the hopes of performing the national anthem at Dunkin Donuts Park for the Hartford Yard Goats.